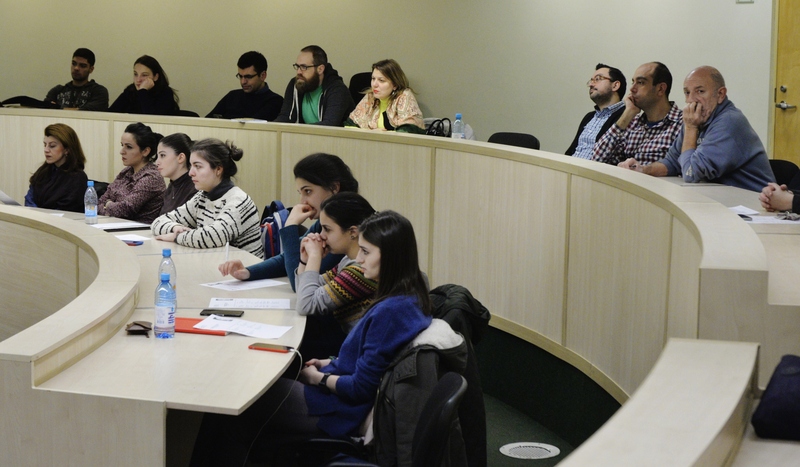 YEREVAN, Armenia—On February 22, the College of Humanities and Social Sciences (CHSS) of the American University of Armenia (AUA) hosted another series of public lectures aimed at exploring classical music. 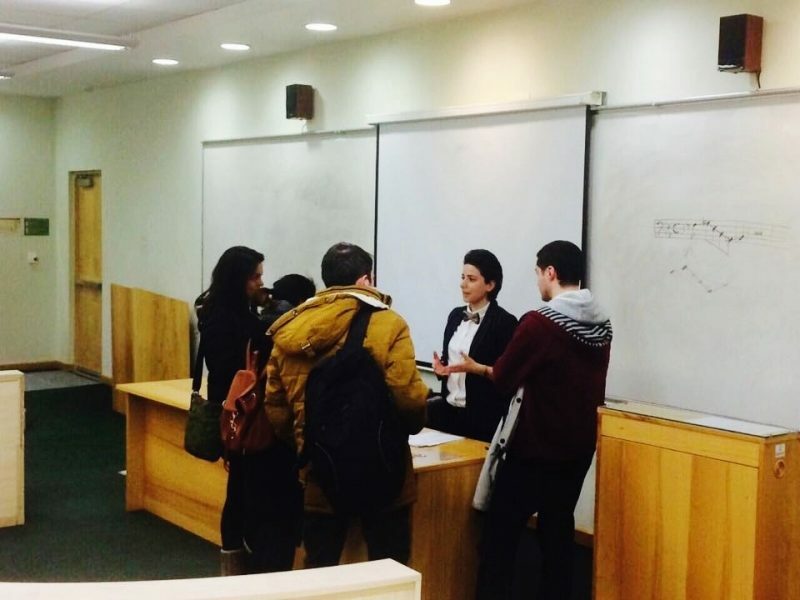 Led by Ms. Araks Shahinyan, the topic of the seminar was death in classical music. Classical music, as any other form of art, has always had numerous references to death and what emotional turbulences a human being goes through immediately before. Throughout the lecture, Ms. Shahinyan presented some of the various means of expressing death. Together with the speaker, the attendees explored what psychological, emotional, and aesthetic faces death might possibly possess in classical music. 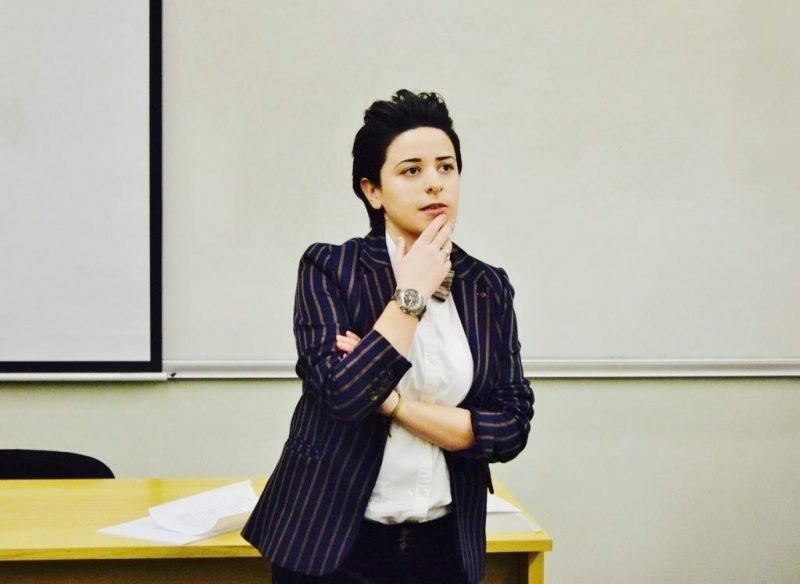 Born in Yerevan, Ms. Shahinyan graduated with excellence from Yerevan State Linguistic University after V. Brusov in 2009 and the Political Sciences & International Affairs program of AUA in 2012. Her further studies include the TFAS International study abroad program at the American Institute of Political and Economic Systems at Charles University (Prague). As an enthusiast of broad interests, Araks has participated in a number of international conferences throughout her studies, writing research papers and presenting topics from fine arts to literature, classical music, and political science. She also maintains an Armenian language blog “Bagatelles” on the philosophy and aesthetics of classical music aiming to increase the awareness of the importance of high art in society. Founded in 1991, the American University of Armenia (AUA) is a private, independent university located in Yerevan, Armenia and affiliated with the University of California. AUA provides a global education in Armenia and the region, offering high-quality, graduate and undergraduate studies, encouraging civic engagement, and promoting public service and democratic values.